No matter where you live, when and where you are about to be married, your wedding is going to cost! No matter how much you want your dream wedding, perhaps somewhere, you'll want to make some budget savings. 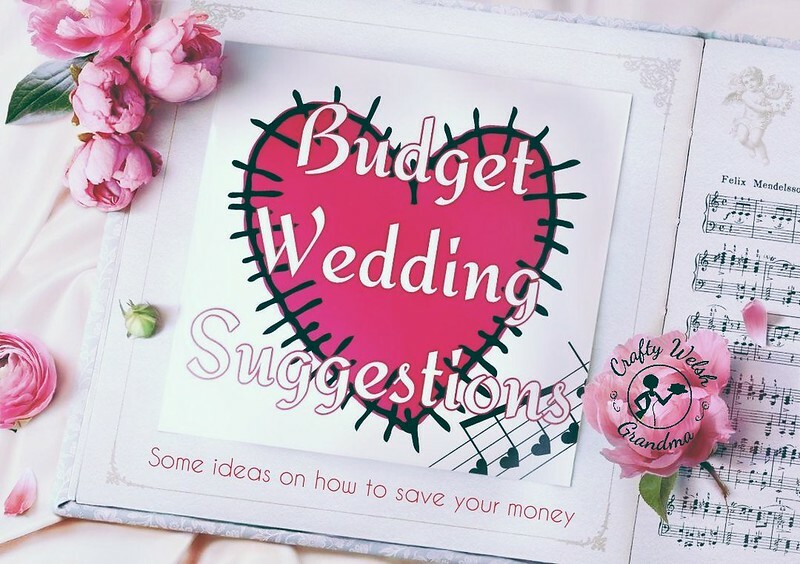 These are certainly not the only money saving suggestions out there, if you think you have one, an idea, or you did something to save you some money, please feel free to add your suggestion in the comments box below. I don't know how much either of both my sons weddings cost, but these are a few things that have been, subject to budget, shared out amongst the family and some friends. My biggest piece of advice for you is, call in the cavalry, call in or ask for favours, beg, dont steal, or borrow, whatever you can. For my one son that married first, I made his outfit. He wanted Thai Fisherman Pants / Trousers, a linen shirt and that was all he needed. I searched online for free patterns and got right on it. His wife, my fabulous daughter-in-law, needed the wedding dress, but couldn't find what she wanted. So, she purchased a wonderfully, simple, ivory vest top dress and added lace from the hem (above the knee) to the floor. It made a perfect train and enabled her to repurpose the outfit afterward. This saved her hundreds from her budget. My second son to be married, wedding due this month, Crafty Welsh Grandma to the rescue, only this time, I'm being Mum. I'm not a professional cake baker, I just love this as a hobby. I've managed to get some practice in with a two tier naked engagement cake for my niece and a three tier, fully decorated cake for my friend - whose wedding was also on a budget. Each of these cakes saved these ladies hundreds of pounds / dollars. The current cake I'm working on is five tiers and also includes "side" cakes for dietary needs: fondant free and gluten free, plus a rich fruit, brandy laidened cake. A five tier cake can knock you back anything up to, and maybe more than £800 - £1000. If I include the ingredients, trimmings, boxes, boards etc, I've probably spent about £200. To save further on costs, the top two tiers are dummy cakes. The personalised ribbons have been commissioned from an eBay crafter, the roses on the main cake have been made by a florist, then then other rose decorations have been made up by family members after buying the artificial flowers from a warehouse. You can also save on your cake decorations by buying them ready made from either eBay or Etsy. If you dont have anyone to bake the cake for you, consider seperate tiers from your local supermarket and then buying cake toppers from crafters. The main cake topper was a gift and brought over from America and, another decoration was a gift and commissioned from a crafter on Facebook. If you know what you want, you can pretty much find it anywhere. 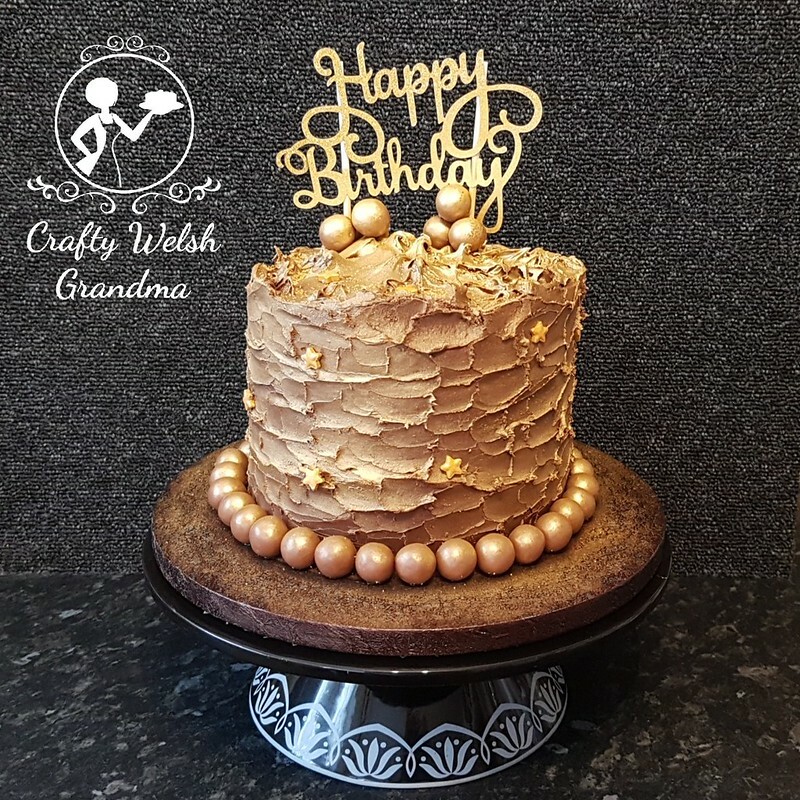 Cake dummies sprayed and covered in diamante bling roll look very expensive, it can cost you a fraction of the cost of a shop bought one. An awesome resource for this DIY would have to be YouTube. You'd be surprised what you can find there. If you have a very handy friend, call in a favour and see how they can help. Handmade wedding invitations are becoming a 'thing' so, check online and YouTube as there are free templates available if you need help and ideas. Yes, you can get these done at the florist, but save yourself some money and do them yourself. Again, YouTube and the internet have many resources on how to do these. If you do them in plenty of time, why not have a few friends around and make an evening of it. Bridal bouquets are also becoming very simplified enabling you do make them for yourself, gone are the days of huge teardrop shape bouquets, in are the rustic bouquets - check them out, the look amazing. Organza fabric can be found at very low cost if you want to decorate the chairs at the venue, or hire them as part of the venue package, they might offer that. Swags from organza are simple and very effective. Sometimes, you can purchase low cost artificial flowers that are already arranged in their own bouquet, use these, add them to some florist oasis and a bowl or vases for some stability. One of your mates will always be happy to be a photographer, check out the wedding photography etiquette before hand to see if they can help. The local college might be running photography classes there, ask them if some of the students can help out. The costs will be slashed and the students will welcome the opportunity . Expensive or what?! But do you know someone who has a really nice car, maybe their 'summer' car or a 'classic' hiding away in the garage for just the right day? Ask them. Many people will be glad to help. Even if you don't know them, pluck up some courage and ask. Now I know there are budget holidays everywhere, do your homework and have a look. Perhaps you're getting married at the height of summer when holidays cost a million, hold off your honeymoon until later in the year. I think I could go one forever with this entry, but I'm going to leave it here and ask you to add your suggestions in the comments box. If you want an idea, let me know, I just might be able to help suggest something for you.